You can enter here and every week you’ll have the chance to win an amazing £10,000. Enough for a holiday, to treat your family or even some home improvements! As well as the jackpot, there are more prizes of £1,000, £25 or £5 to be won each week. It is just £1 a week to enter, or £2 to double your chances of winning. Simply enter here and once you’ve signed up, we’ll send you your lucky 6 digit number. Even better, as well as writing to let you know if you’ve won, we will automatically pay any winnings directly to your bank account, so quick and easy! 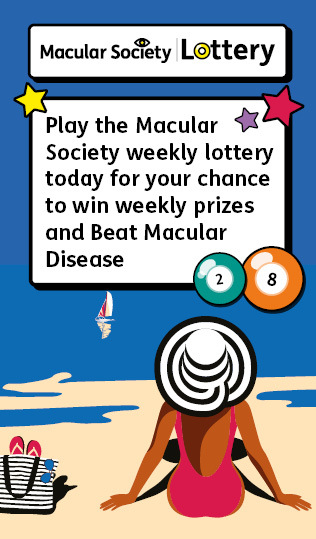 By playing our Lottery, you are helping to beat macular disease for good and to support those people who need support today. Thank you and good luck.